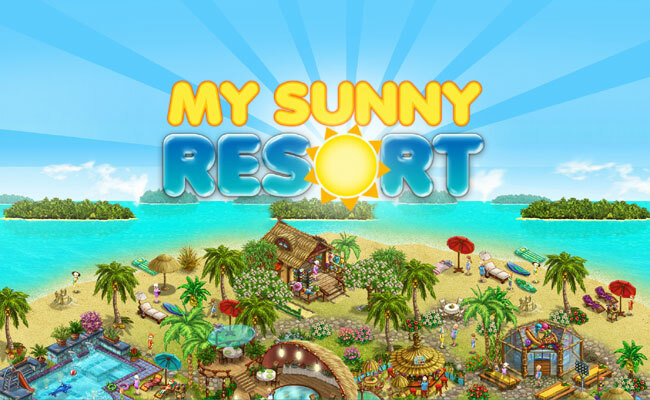 My Sunny Resort - Online Manager - Play free now! My Sunny Resort - Become an Online Manager of Hotels! Divine scenery, happy guests, and all sorts of exciting tasks and challenges – all that awaits you in the entertaining online manager game My Sunny Resort. 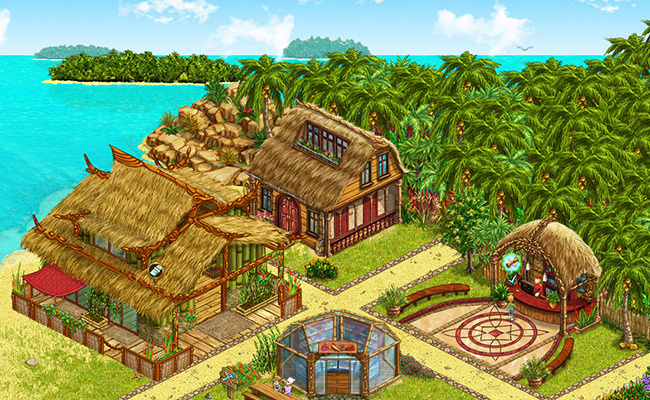 In this browser game you open your own holiday resort that you can design according to your wishes. Discover the multifaceted fun of manager online games and become an online manager of hotels today! Open your own Holiday Resort! In the browser game My Sunny Resort, you’ll design your own vacation paradise and build your first leisure facility as a hotel manager. Manager online games captivate millions of people worldwide. 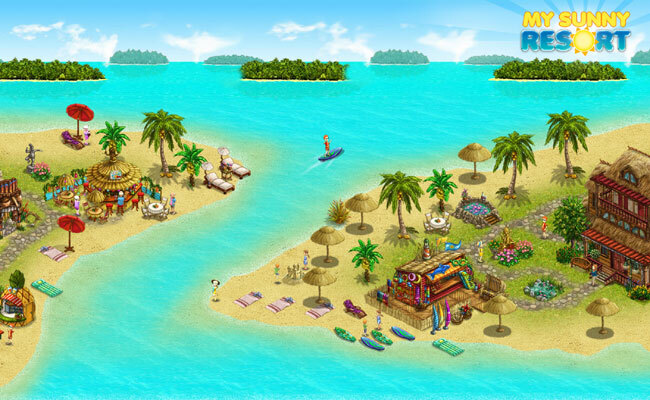 In the browser game My Sunny Resort, you’ll build your own vacation resort. Palm trees, sun, and surf – the online manager game My Sunny Resorts sends you off to tropical beaches. You’ll open your first resort facility right where the land meets the sea. You’ll build bungalows, decorate the exterior with great items and delight vacationers with sand castles, surfboards, fountains and air mattresses as you expand your resort empire little by little. Soon, you’ll be able to open resorts all over the world! You love manager online games? Then My Sunny Resort is the game for you! In this colorful browser game you’ll establish your own vacation paradise. As an online manager of hotels, you’ll do your very best to make your guests’ stay as pleasant as possible. The higher up you level, the more features and options you’ll have at your disposal. Discover the entertaining gaming experience for your browser, decorate your resort facilities with great items, open additional resorts on different continents, upgrade your resorts to 5 star luxury getaways and enjoy the delightful game atmosphere of My Sunny Resort. The Bamberg game manufacturer upjers has been developing and producing browser games since 2006. These are online games that can be played without a download right in your browser. The variety spans everything from funny farm games to colorful online manager games like My Sunny Resort. 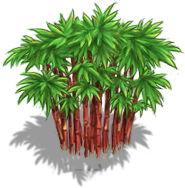 Find great manager online game tips, tricks and infos in the My Sunny Resort game forums.